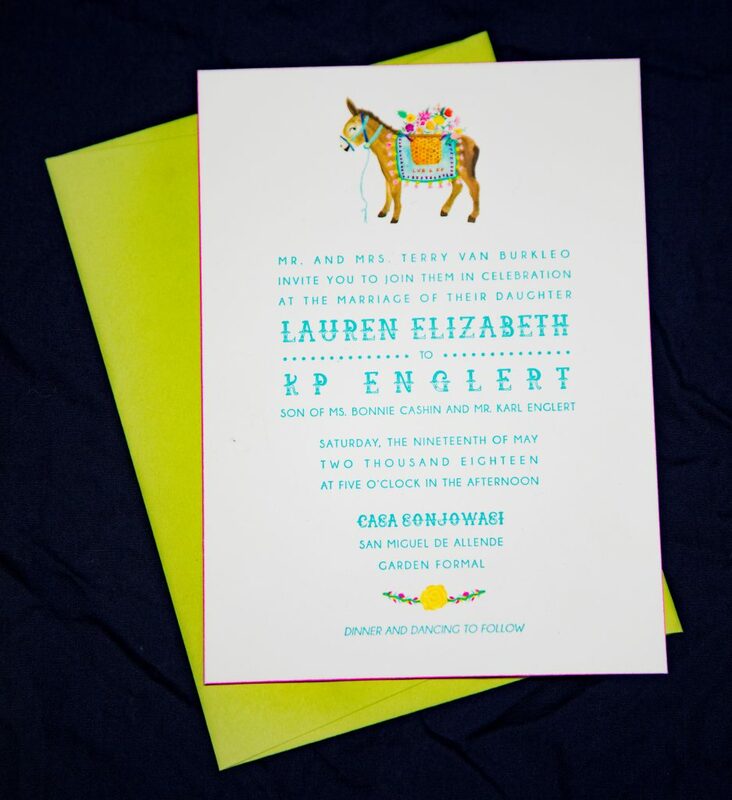 Bold Brush was the very first wedding invitation we decided to include in our new collection of customizeable letterpress invitations, Dependable Weddings. It’s easy see why! 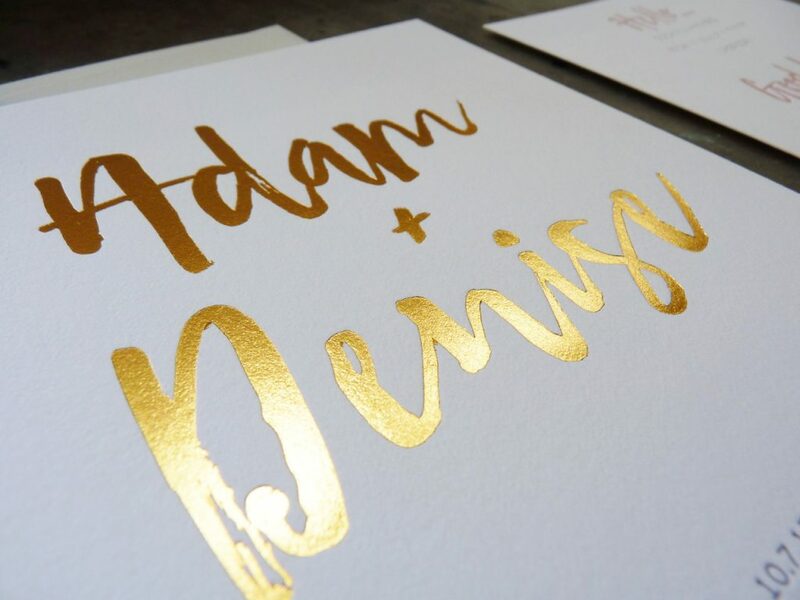 With its bold, brush lettered names in gold foil, and slight, minimal letterpress text, it’s a modern classic. 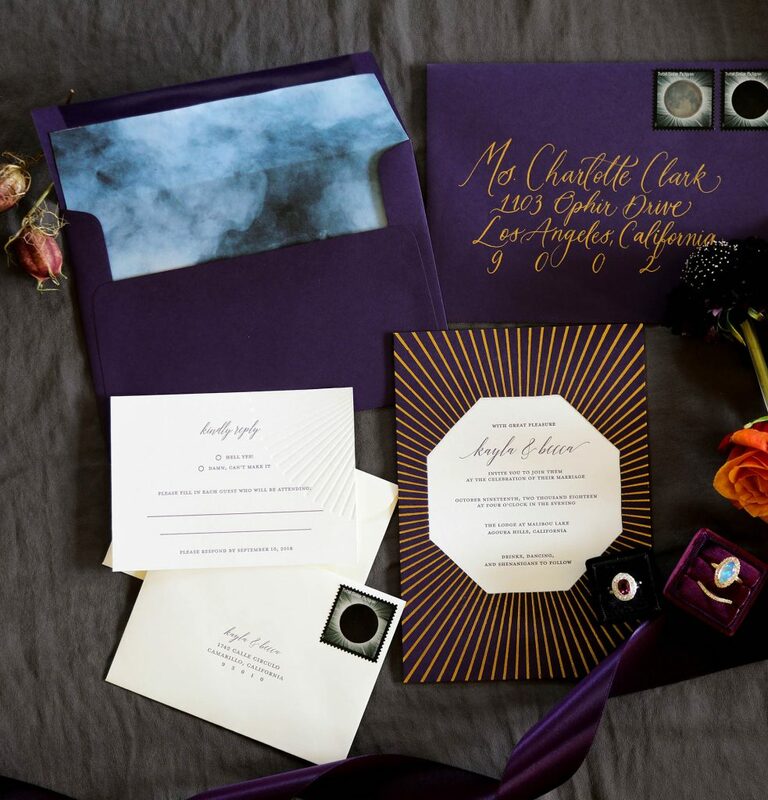 We call this invitation suite “Bold Brush” because the brush-lettering puts what’s important front and center: the couple. The couple’s names occupy more than half the page, and their excitement to wed is palpable. 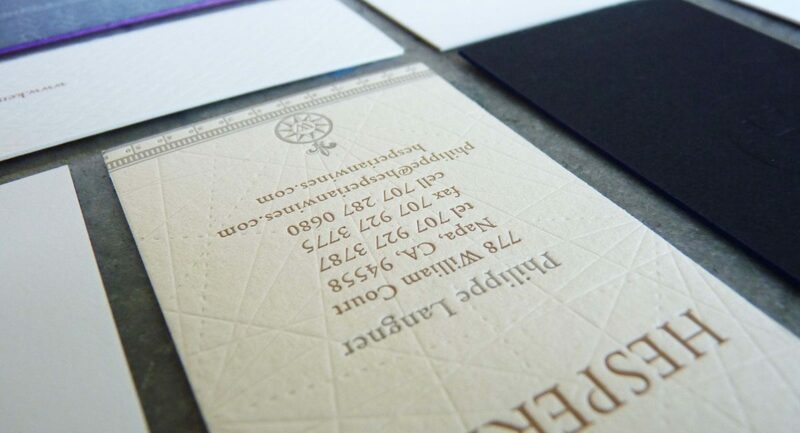 The paper is thick and soft, and accepts the impression from the letterpress beautifully. 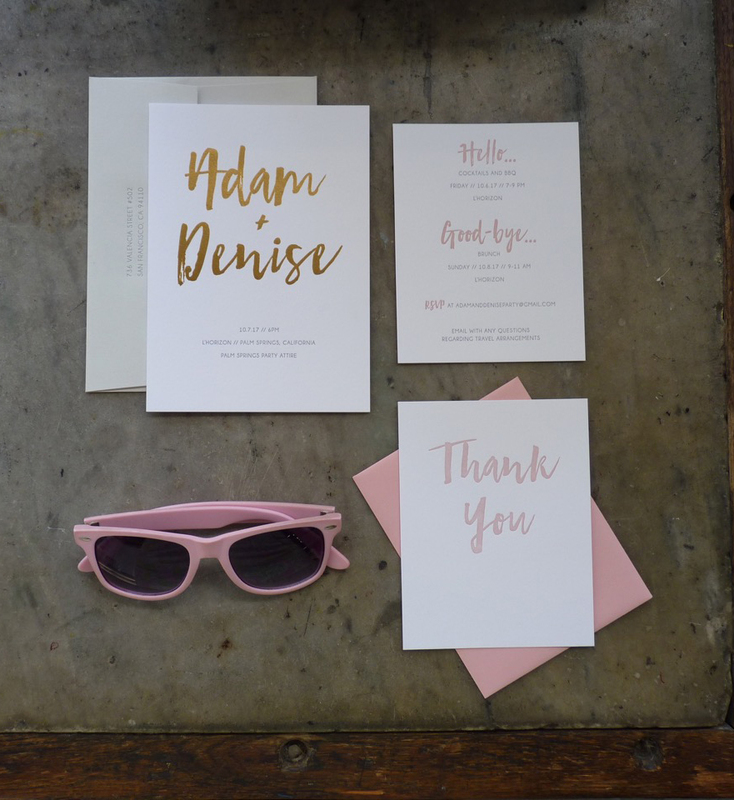 The original version of this wedding invitation features gold foil, gray letterpress, and blush / rose letterpress on the details and thank you cards. However, for a different look the gold foil can be substituted for ink, or even for blind deboss. 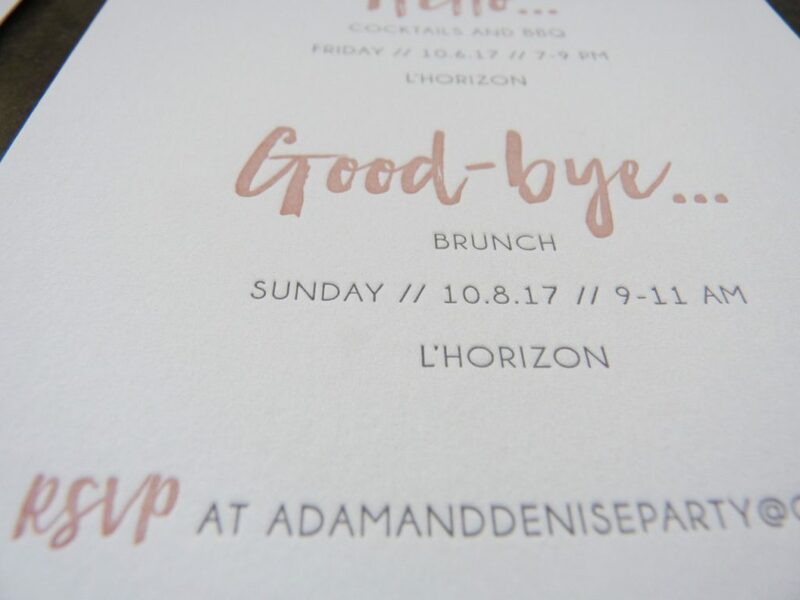 Using the same blush ink that appears on the Thank You and Details cards will tie the suite together, but will reduce contrast and therefore reduce a certain level of visual interest. 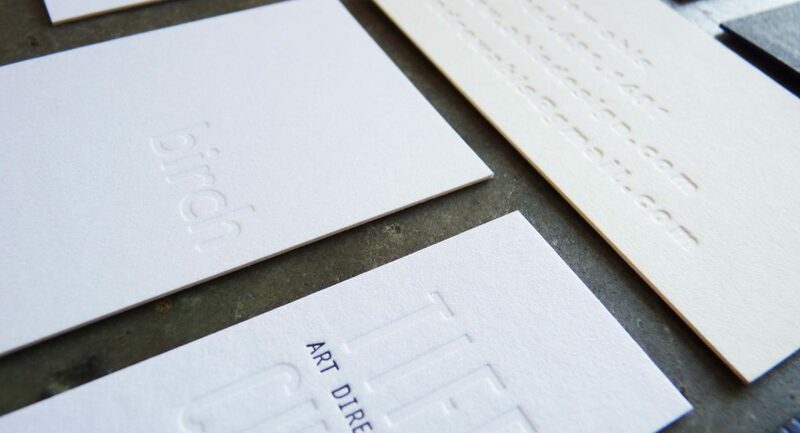 Using blind deboss instead will create a much more subtle, but also fresh and modern look. Bold Brush is suitable for a wide variety of weddings. While perhaps a bit too casual for a black-tie affair, it works well for a cocktail-attire urban wedding, a garden wedding, or a destination / getaway wedding. It’s a festive design that communicates joy. However, it is also clean and minimal overall, not overly playful or irreverent. For more details, and to shop this design as well as our other letterpress wedding invitations, click here. We provide transparent pricing for all of our suites, but if you are interested in further customization don’t hesitate to get in touch. We happily provide quotes for additional customization if desired. 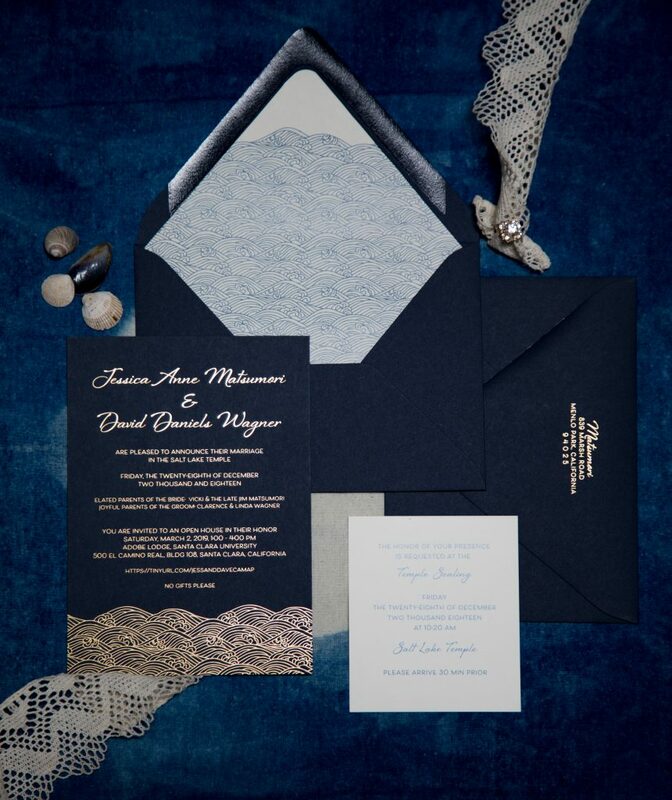 This suite was designed by Nicole Baker of Foreignspell for Dependable Weddings. 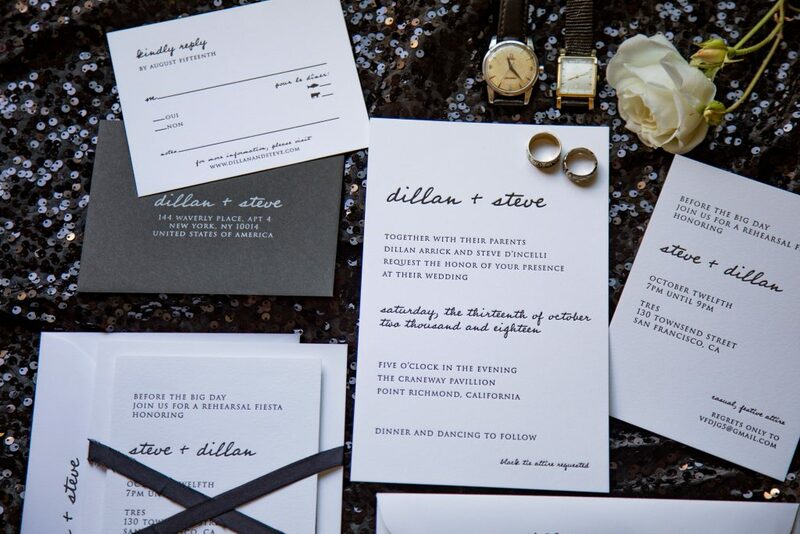 One of the simplest but most dramatic letterpress wedding invitation suites in our Dependable Weddings collection is Craneway, a modern black-and-white suite. Craneway can be dressed up (with wax seals and silk ribbon) or kept simple. With or without luxury finishing touches, its soft cotton stock, dramatic black letterpress and modern type design really stand out. 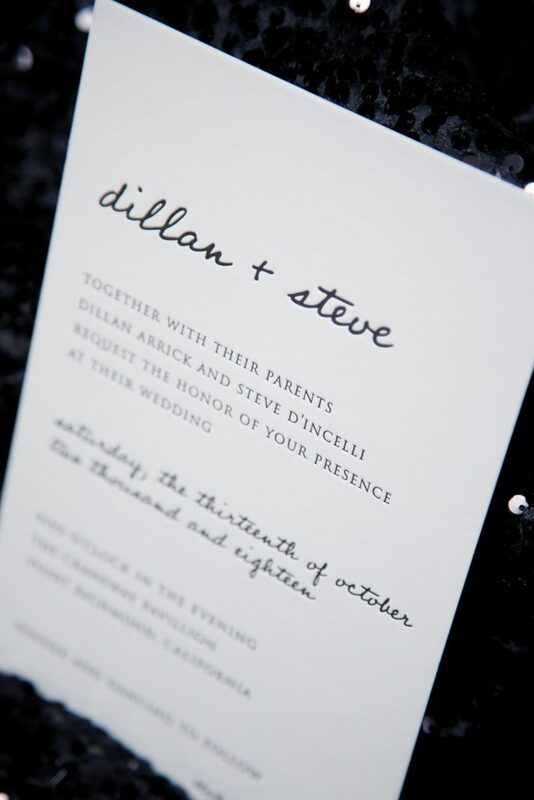 We originally designed this invitation suite for Dillan and Steve’s modern black tie wedding at the Craneway Pavilion. The design balances playfulness with formality, maintains a simple, elegant black and white color palette, and incorporates luxurious touches where possible. 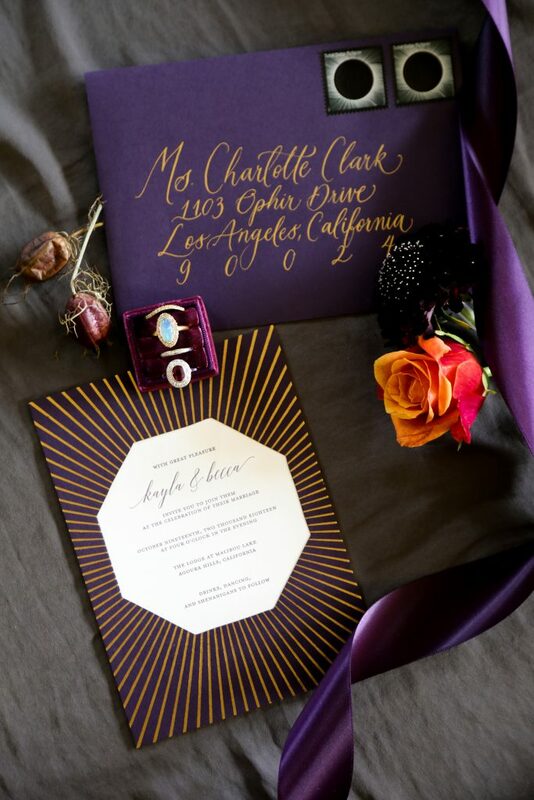 We wanted to create a sense of drama and excitement for the recipient, and we took several steps to do so. We made the announcement card oversized, printing it on an A9 sized double thick cotton card, rather than the standard A7 size. 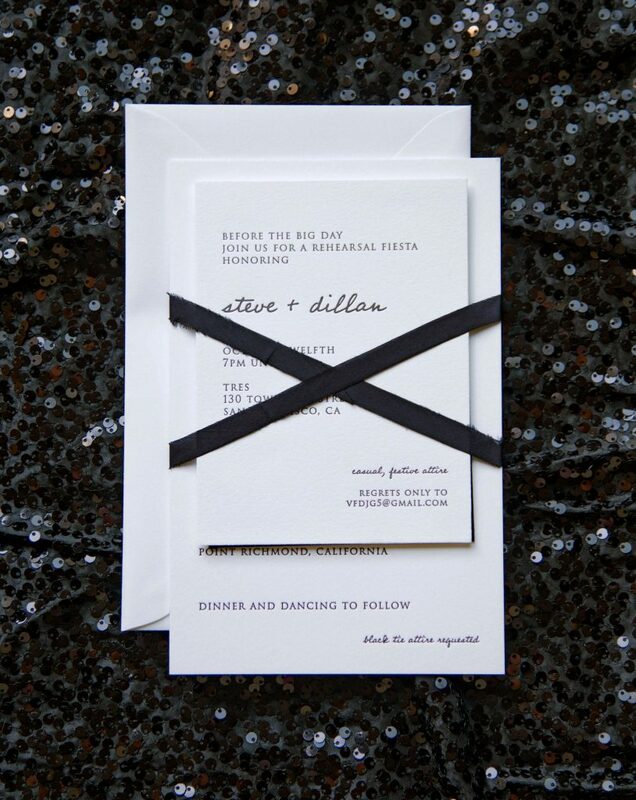 The RSVP envelope is black with silver printing, which creates contrast and visual interest. Finally, a wax seal with the couple’s monogram, and a black raw silk ribbon encircling the suite completed the modern black-tie look. 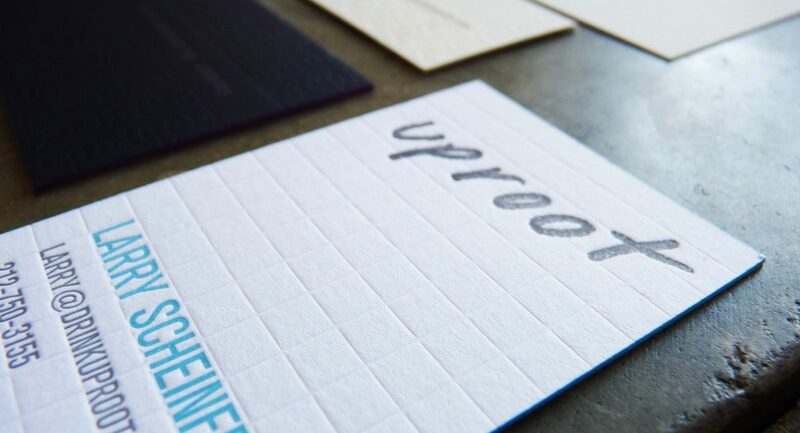 The type design features a playful, modern, but very legible handwritten font for the couple’s names and the headers. We paired it with a more formal, traditional serif typeface in small caps for the text. 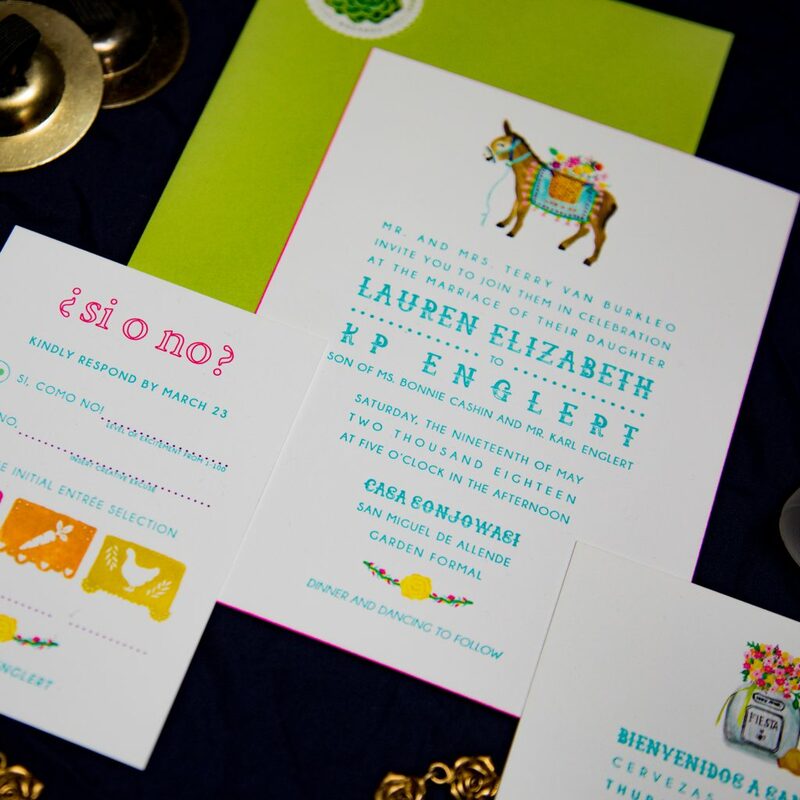 We made sure to use a font pairing that is uncommon in the letterpress wedding invitation market, so that this suite would feel modern and fresh, despite its simple format. 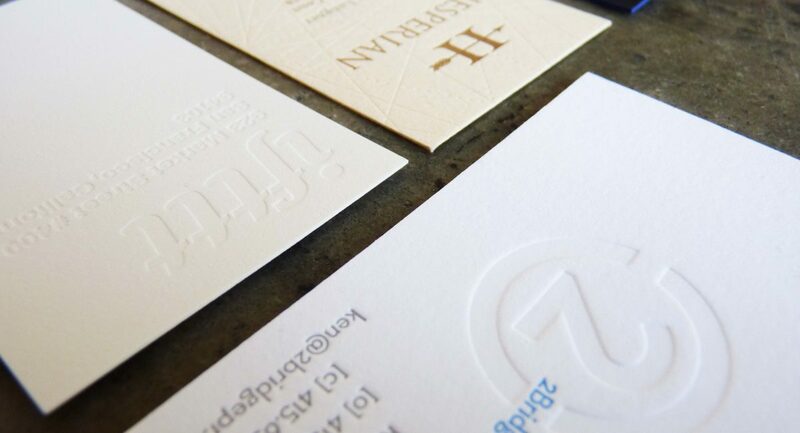 Most importantly, we paid the highest level of care and attention to the letterpress printing for this suite. Dillan and Steven wanted the text to be as black as possible, while remaining crisp. To achieve this, we paid special attention to ink coverage. 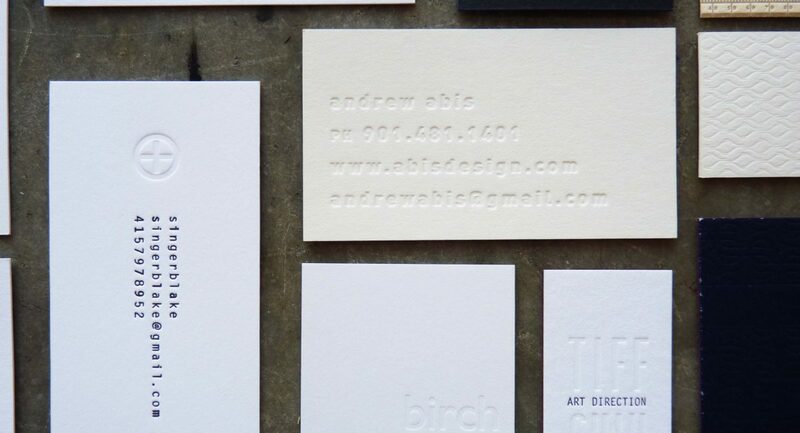 Of course, they also wanted to see a deep bite or impression into the bright white paper (as many letterpress clients do)! So we carefully walked the line between creating a deep impression and maintaining the structural integrity of the paper. We also assembled, addressed, and mailed this suite. We offer both modern handlettering and formal calligraphy, but in this case we digitally addressed the envelopes. Though not as personal as calligraphy, digital addressing creates a perfect match between the outside and inside of the envelope. The complex assembly for this suite meant that the couple saved significant time by hiring us to complete that portion of the process. Mailing services also really benefit couples who are traveling or moving to a new city in the months leading up to their wedding, like Dillan and Steve. Rebecca Pfiffner of Be Hitched provided the event design and planning for Dillan and Steve’s wedding, and we worked closely with her in creating the coordinating day-of paper for this wedding. 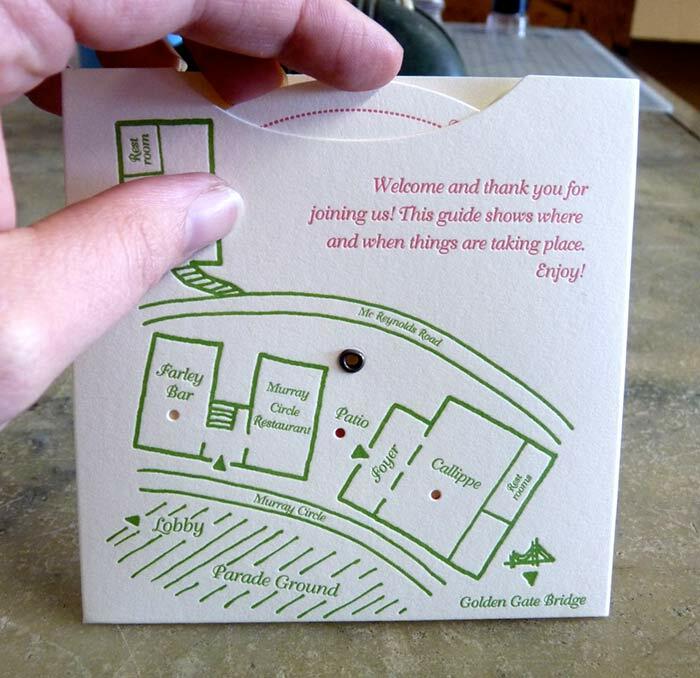 Like all the suites in Dependable Weddings, Craneway has coordinating designs for thank-you cards and various day-of items, which are available by request. 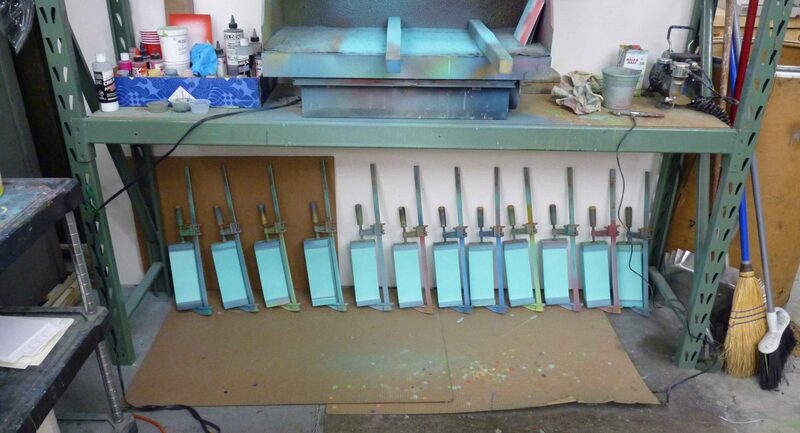 Edge painting, edge coloring, colored edges; there are many names that describe this process and we have used them all. This process is not new by any means, but we have noticed more and more people are asking for it in the last few months. Edge painting can be matched to an existing color in the design or it can be done with a contrasting tone to add an unexpected pop of color. Finishing processes like this can really add polish to a card design. This process is often done with engraving ink, which has a matte finish for the non-metallic Pantone colors and a shimmery finish for the metallics. If you’re looking for a very shiny metallic look, foiled edges are the way to go (more on that farther down). We send out for this process, so it does add to the production turnaround. 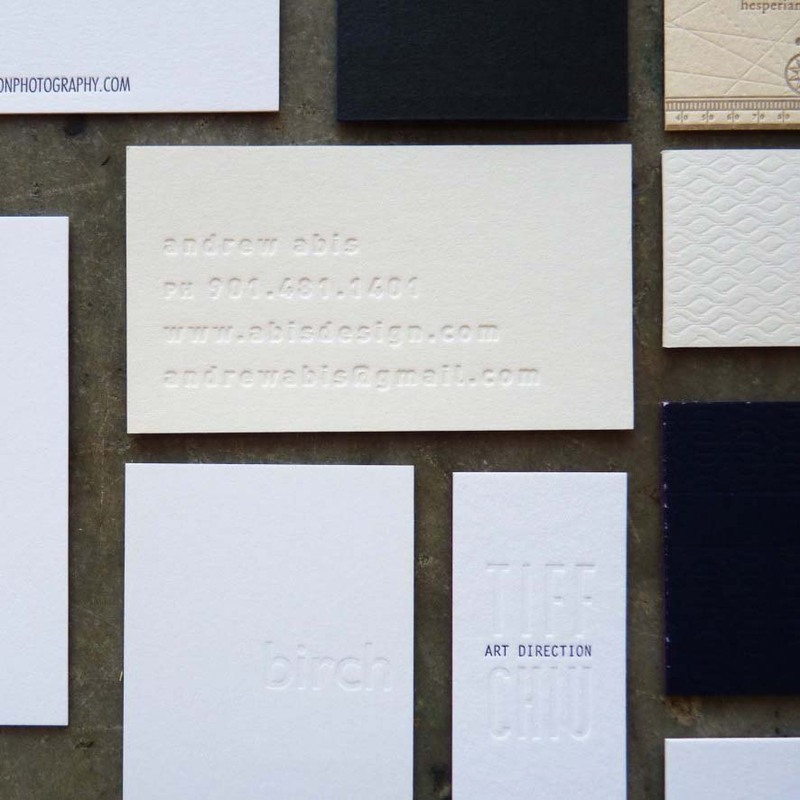 Below are some examples of business cards with edge painting. When a shiny metallic finish is needed, foil edging is the best method. We outsource this process as well, so be prepared for longer turnaround. There is a wide range of foil colors available, however gold and silver are by far the most popular. There aren’t many things quite like opening a box of foil-edged cards and seeing a field of metallic staring back at you. Here are some cards with gold foil edging. 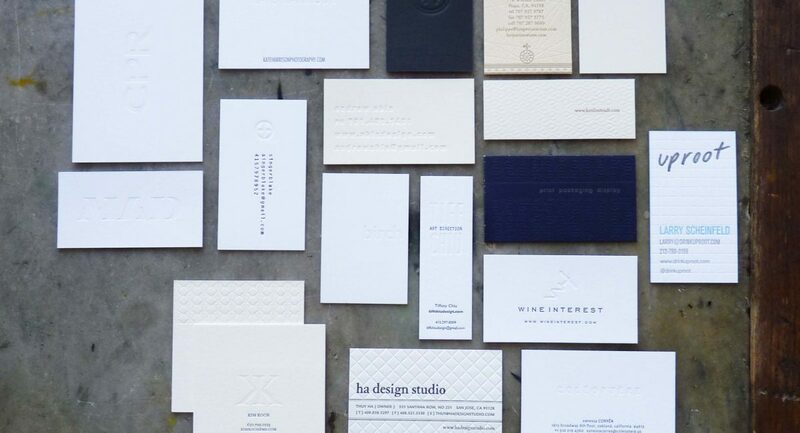 Get in touch if you are in need of show-stopping business cards, or check out our wedding invitation designs or custom wedding invitation process. Notes: Various papers used in the painted-edge stack, Huckabit business cards printed in three colors on 179# Crane Fluorescent White Kid finish cover. Gold-foil edged cards printed in two colors plus gold foil stamping on 110# Crane Lettra Fluorescent White cover. 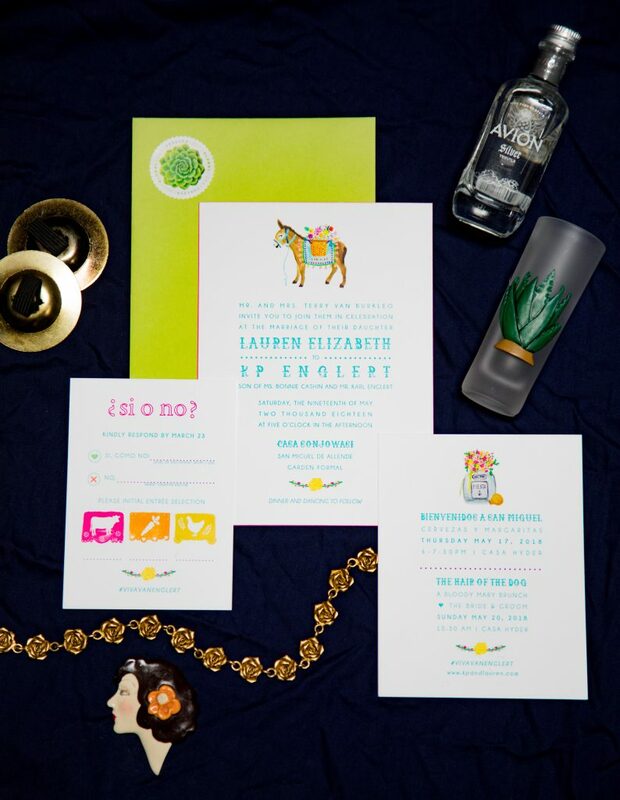 We love to create fun pieces like this spinning wedding program. We printed flat sheets then die-cut the pieces using custom dies. Hand-assembly with eyelets finished the programs. We were sure to take care to let the wheel spin freely. 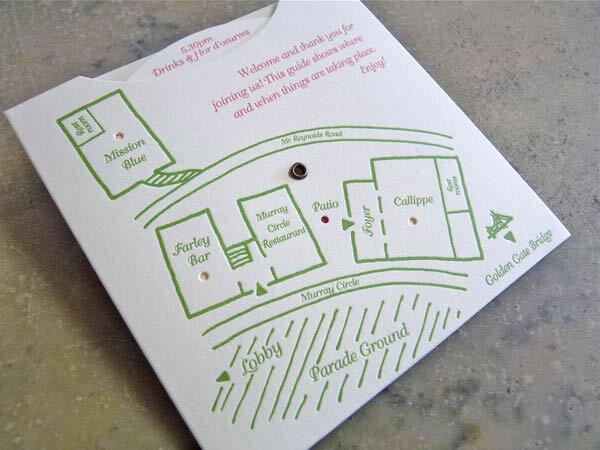 It was a great way to show the guests where each event was happening and what time they should be there as well as giving them a fun keepsake to take with them. The design was created by Ezster Rabin (rabbitfootdesign.com). 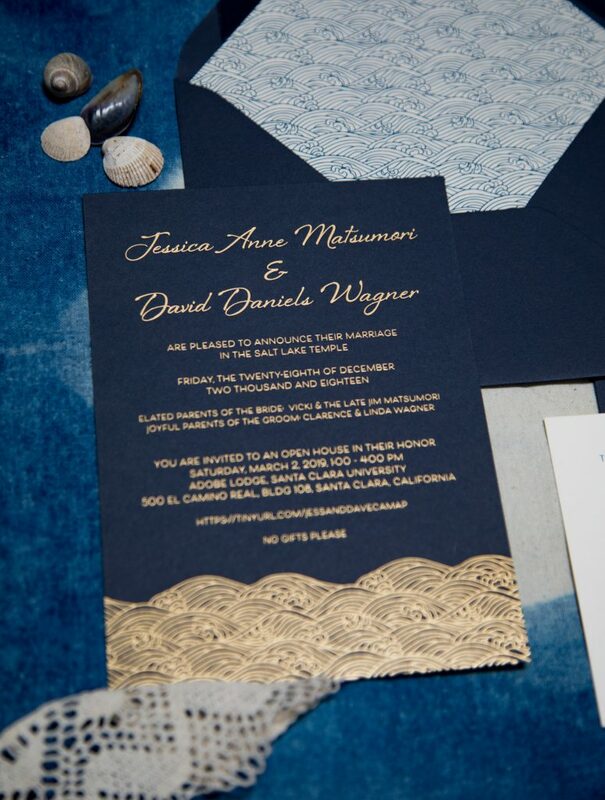 If you are in need of a custom wedding paper project, don’t hesitate to get in touch! Check out our wedding process here. 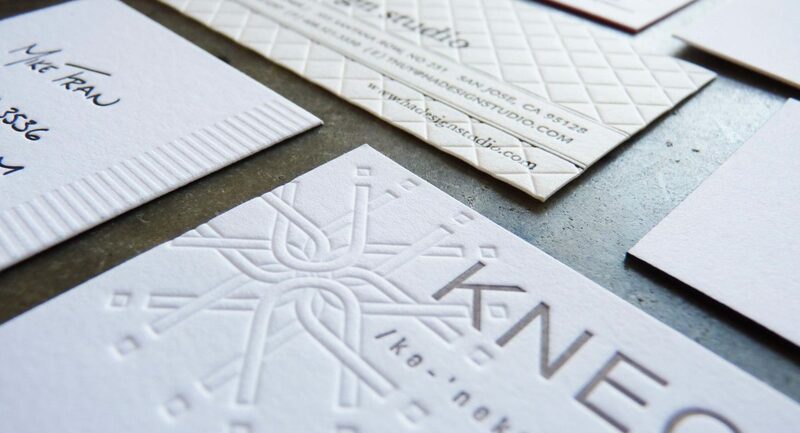 Notes: Printed in 2 colors on 250 gsm Stonehenge Warm White with the inner wheel printed in 1 color. 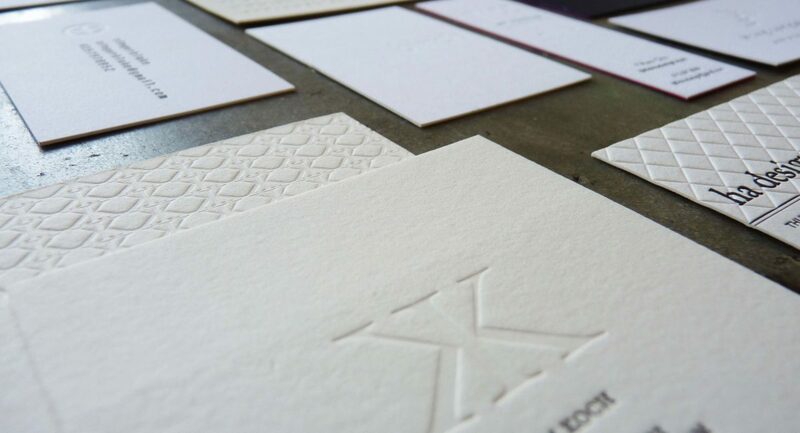 Blind deboss and embossing are two different processes. Often when asking for embossing, people actually mean a blind deboss. 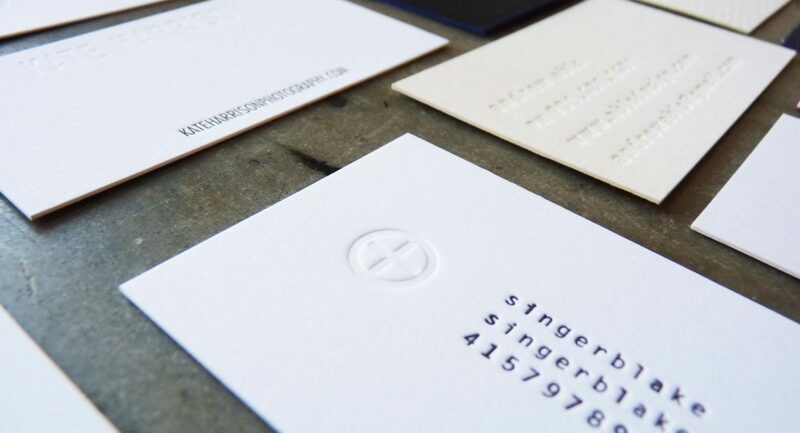 Embossing is a process that requires a die and a counter die and a blind deboss is letterpress printing without ink, allowing us to use our standard printing plates. Embossing leaves a reverse image on the back of the sheet and a blind deboss does not. We offer both processes in-house and will be happy to recommend which process is suitable for your art. Every once in a while we are requested to print on non-traditional material. 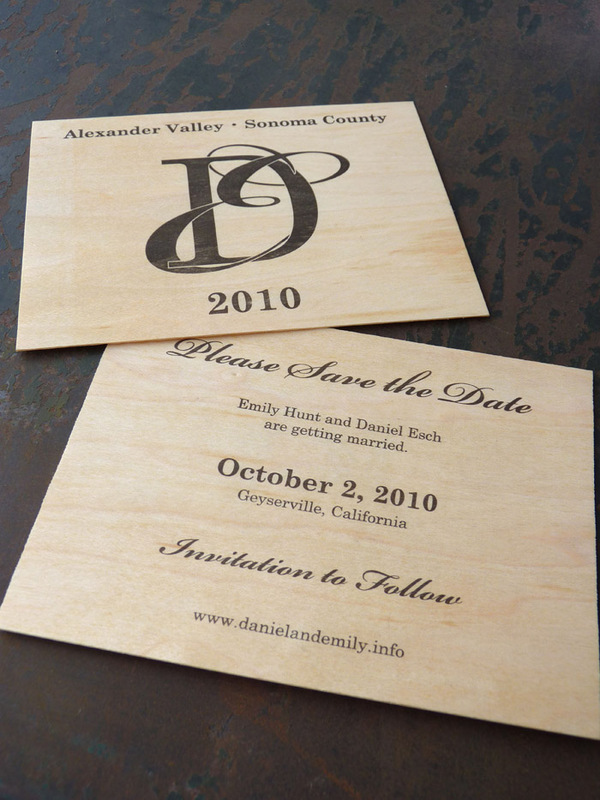 When asked to print a wood veneer save the date, we were skeptical, but anxious to see the results. Wood veneer does not allow for a deep impression, but the uneven surface does create a neat weathered look, showing off the patterns in the woodgrain. If you are in need of a unique custom wedding piece, check out our wedding process or just get in touch!